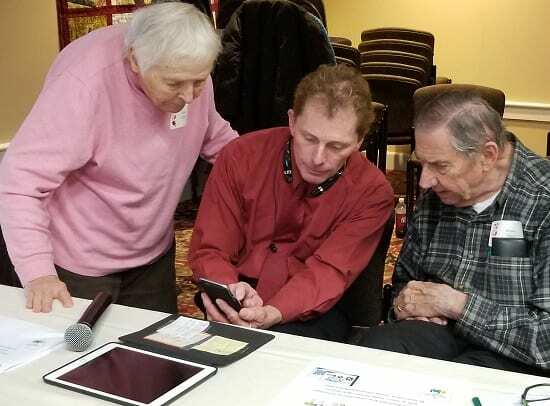 George Zimmerman and Jason Levine, of the St. Peter’s Health Partners (SPHP) Technology Information Services team, on November 19 gave the presentation “Staying in Touch with Your Loved Ones via Technology” to residents at Glen Eddy, an Eddy Senior Living community in Niskayuna. 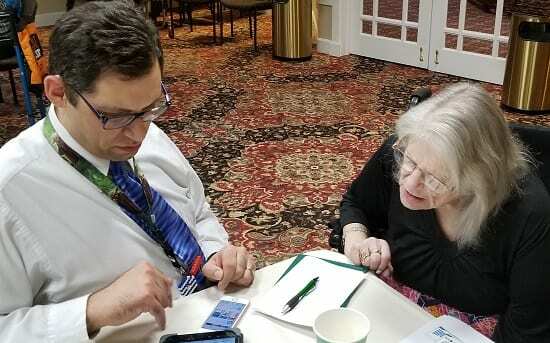 Zimmerman and Levine covered topics including texting, instant messaging, and video chat, and then worked with individual seniors to help configure their iPhones, iPads, Kindles, and other devices. Thank you George and Jason for your service!